Boil the rice till soft and keep it aside to cool. In wide vessel, add thick yogurt, green chilly paste, ginger paste, sugar and salt. Mix all the ingredients well . Add boiled rice to the yogurt and stir well. Check for the salt, add if needed. Heat the pan on medium flame, add oil. When oil heats up, add mustard seeds , cumin seeds and let it splutter. When done, add asafoetida, dry red chillies and curry leaves. Add this seasoning to the yogurt -rice mixture and stir well. 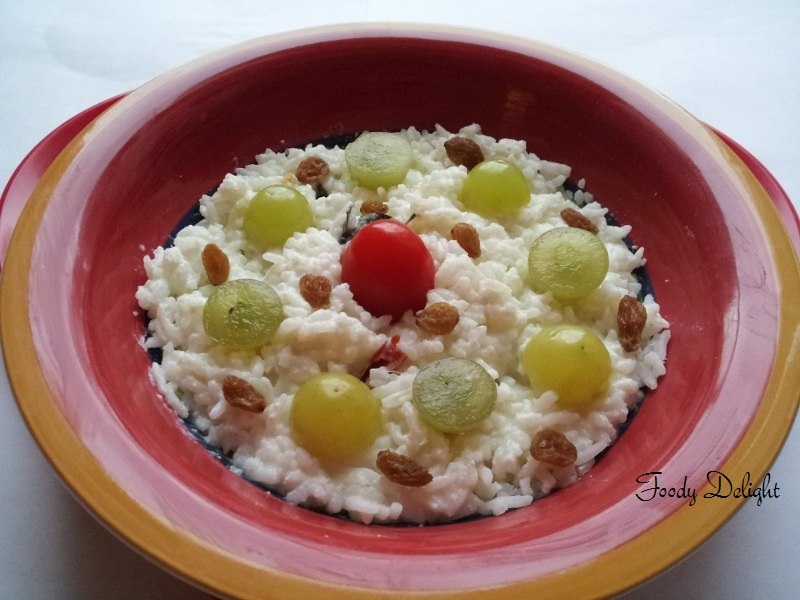 Now the curd rice is ready to serve. 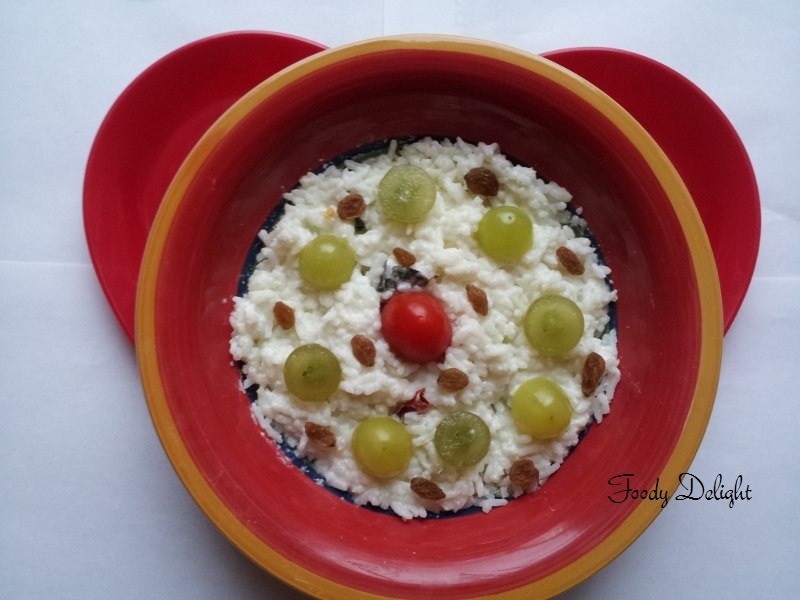 Garnish curd rice with raisins and green grapes. Curd rice can be served with mango or sweet lemon pickle.